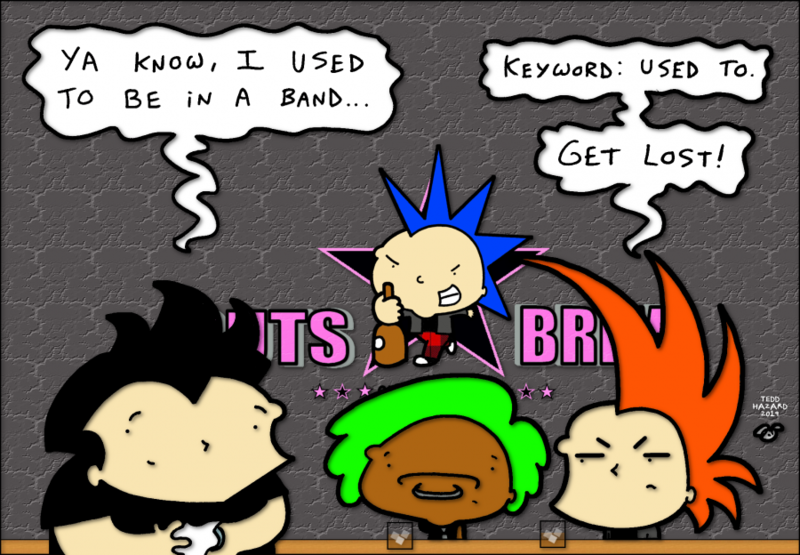 Krust Toons: "What Stage Does John Cena Play?" by Tedd Hazard - please feel free to drop him a line at teddandthehazards@gmail.com if you dig or have any funny ideas. You can also check out more of his illustrations and animation shorts HERE. 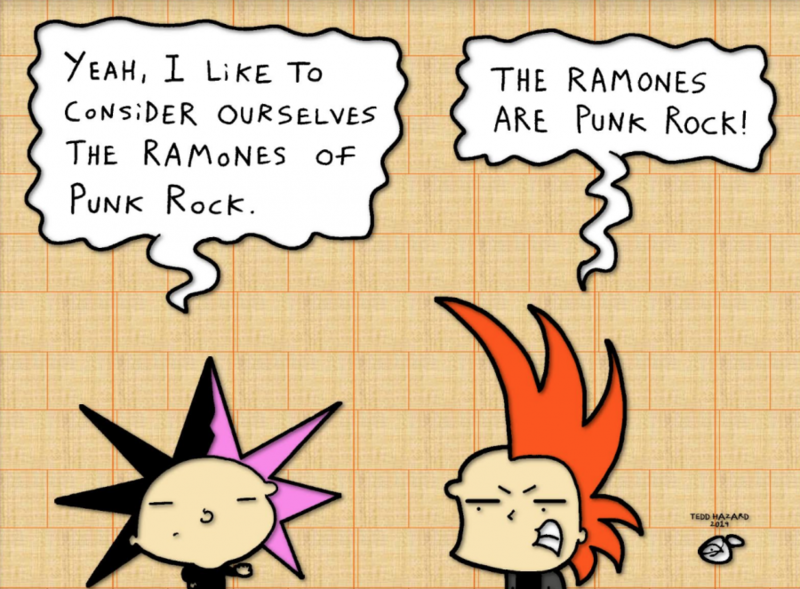 Krust Toons: "The Ramones of Punk Rock" by Tedd Hazard - please feel free to drop him a line at teddandthehazards@gmail.com if you dig or have any funny ideas. You can also check out more of his illustrations and animation shorts HERE. 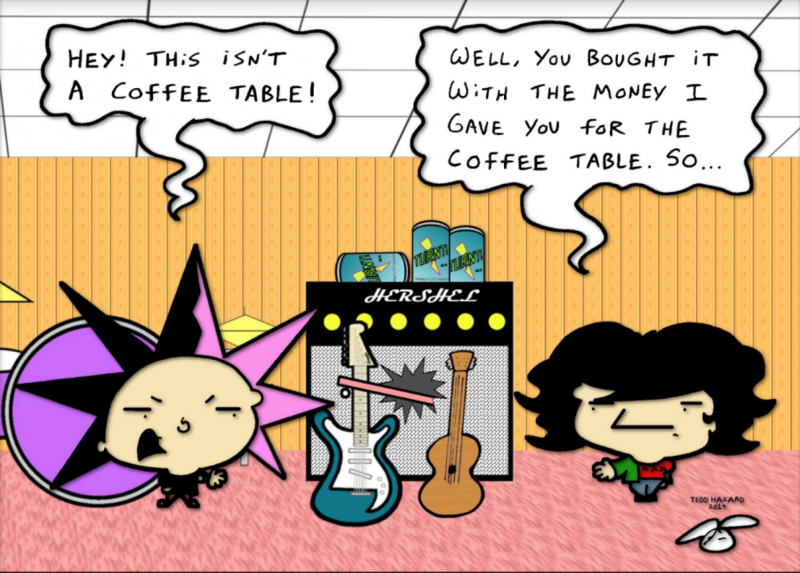 Krust Toons: "This Isn't a Coffee Table!" by Tedd Hazard - please feel free to drop him a line at teddandthehazards@gmail.com if you dig or have any funny ideas. You can also check out more of his illustrations and animation shorts HERE. 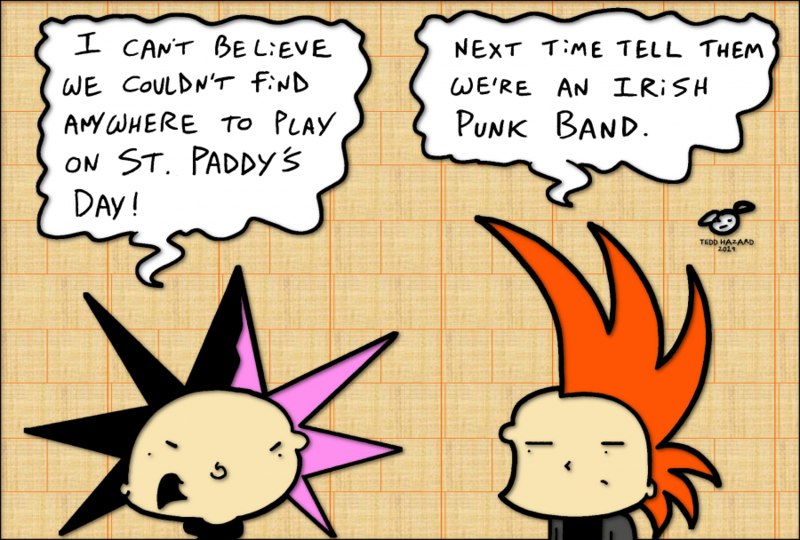 Krust Toons: "Anywhere to Play on St. Paddy's Day" by Tedd Hazard - please feel free to drop him a line at teddandthehazards@gmail.com if you dig or have any funny ideas. You can also check out more of his illustrations and animation shorts HERE.